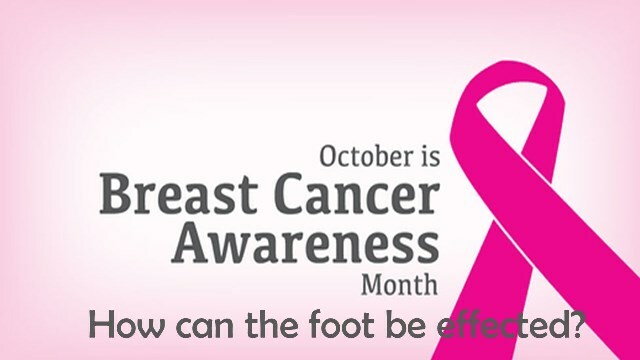 Hand-foot syndrome (HFS), or Palmar-Plantar Erythrodysesthesia (PPE), is a side effect of some types of chemotherapy and other medicines used to treat breast cancer. Hand-foot syndrome is a skin reaction that occurs when a small amount of the chemotherapy medication leaks out of capillaries (small blood vessels), usually on the palms of the hands and soles of the feet. Characterized by numbness, tingling, burning, redness, swelling, pain, rash and in severe cases cracked skin, blisters, peeling skin, and difficulty walking due to pain. This condition can be caused by the following medications: Adriamycin, Adrucil, Doxil, Ixempra, and Xeloda. By decreasing friction and pressure on your hands and feet, this can prevent HFS. Treatment consists of ice packs, elevation, moisturizer, wearing slippers, staying away from harsh chemicals, and talking to your doctor. Some studies have shown applying urea based moisturizing creams to help as well.